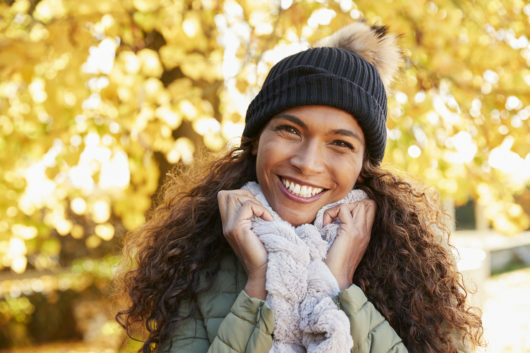 Whether you’ve already settled into pumpkin spice season or are just starting to embrace the fall, now is a great time to make a seasonal skin care transition if you haven’t already. No, it’s not a myth and it’s not a marketing ploy — changing your skincare routine seasonally is great for your complexion. This time of year, the combination of colder outdoor air, decreased humidity and blasts of dry indoor heat can have your skin crying for more moisture and TLC that you didn’t always need during the warmer months of the year. Here’s how you can help your skin wave a final goodbye to summer weather and prepare for the colder months ahead. You know you were supposed to limit your time in the sun and remain devoted to using proper sun protection, but you basked in the rays a little too much this summer and your skin shows it. 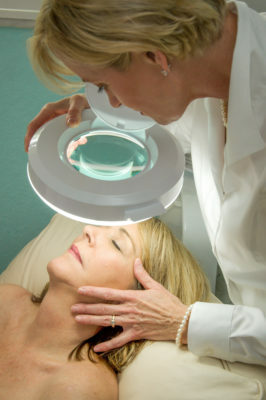 If you’ve got sunspots or a few fine lines that have begun to crop up, consider seeing your dermatologist or aesthetician for treatments to mitigate any summer skin damage. You can try an AHA or BHA exfoliant at home or opt for a chemical peel or laser treatment at a dermatologist’s office or medical spa. Even if your skin made it through the summer relatively unscathed, it’s still worth talking to a professional to develop a colder-weather skin care plan and visiting someone who can help do a round of extractions — aka pull out all those blackheads and whiteheads and make sure your pores aren’t clogged. Just because you’re switching up your routine doesn’t mean you should abandon your routine. Make sure you’re cleansing, treating, and moisturizing your face every single day, twice a day! If you’re acne prone, try SLMD Skincare (especially the Acne System) — it’s great for everybody, acne prone or not, and it makes sticking to a routine super simple and easy! Look for a less drying cleansing product for the fall. 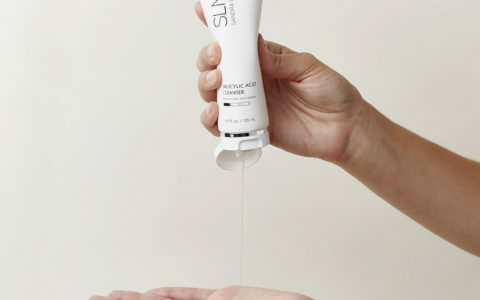 Those lighter, foaming formulas you loved a few months ago were great to get the sweat and sand off, but with your skin producing less oil in colder temperatures, it’s time for something a little thicker, like a moisturizing cleanser or a non-drying gel, like the SLMD Skincare Salicylic Acid Cleanser. Getting rid of any layers of dry, dead skin everywhere below the neck is a great way to prep your skin for cooler months. 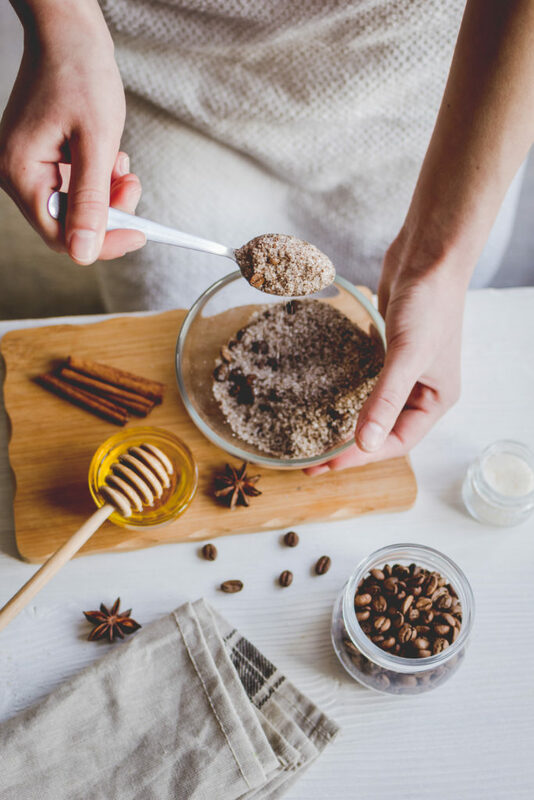 There are tons of do-it-yourself options that use coffee grounds (flavored ones add a fun scent! ), large grain sugar and/or avocado oil. Larisa Rabkin, an aesthetician in the office of Dr. Joseph Russo, a plastic surgeon in Newton, Massachusetts, is also a fan of AHAs, or alpha hydroxy acids, which are a super effective type of exfoliating acid. “For maximum effectiveness, exfoliate with products containing glycolic acid a few times a week. Just remember to be gentle on sensitive areas, like the face, and don’t overdo it. Listen to your skin!” she reminds. This is especially important if you have acne – over exfoliating, especially with harsh scrubs, can make your breakouts worse! SLMD Skincare has a great all-over Glycolic Acid Body Scrub that uses glycolic acid and lactic acid to help slough away dead, dry skin. 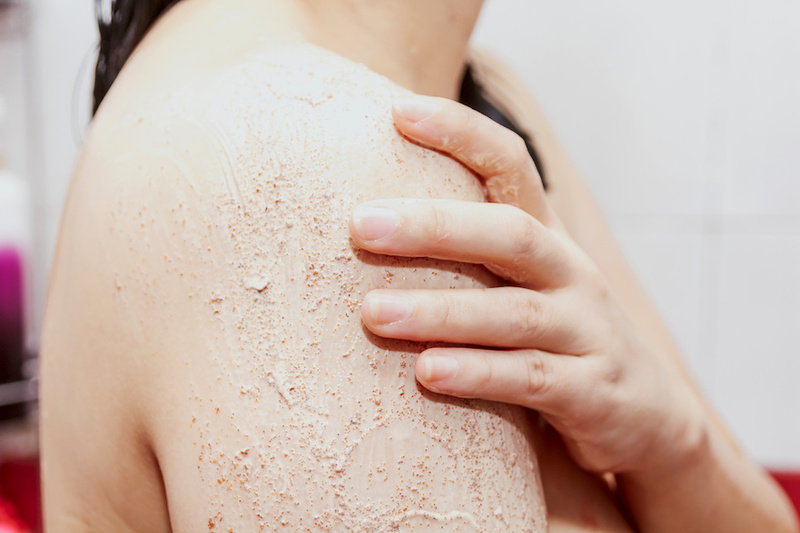 Reminder: Over exfoliating can be equally bad for your skin, so make sure you’re not overdoing it on the actives! Just a few times a week should suffice. It’s time to change your moisturizers as well. Switch from the lightweight or oil-free products you loved in June, July, and August to a thicker formula. We’re a fan of the SLMD Skincare Hyaluronic Acid Serum, which does double duty as a hydrator (that’s the hyaluronic acid at work) and moisturizer (that’s the noncomedogenic oil-based squalane working hard). It’s great for all skin types, too! As for your body, if you weren’t using lotion during the summer, make sure to do so now to keep itching and dry patches at bay. Apply it right after bathing or showering to lock in moisture. Invest in a humidifier as part of your cold-weather arsenal to bring more moisture into your home, and turn it on at the same time you crank up your heater to minimize the dry air. Your skin will thank you. And remember to keep drinking water! It may not be sweat season anymore, but you still need to stay hydrated. Although you’re no longer taking in those seemingly endless summer rays, sun damage can happen year-round, as cancer-causing UVA rays are still powerful in the fall and winter months — even through the clouds! Keep using your sun protection to avoid wrinkles and lower your risk of skin cancer. The SLMD Skincare Daily Moisturizer has SPF 15 and was specifically formulated for acne-prone skin, so it’s a light, easy to use, daily moisturizer + sunscreen in one! Time to break out the lip balm after it sat at the bottom of your purse all summer. But first, prime your lips with another one of Rabkin’s fun concoctions — a pumpkin spice lip scrub. Melt a bit of coconut oil, add in brown sugar, honey and pumpkin pie spice, then stir. Take a pea size amount to scrub your lips, and finish using a warm washcloth to remove the excess. Hello, soft lips! Say Goodbye to Dry, Chapped Lips!